Do you know how to accessorise with a rug? We wonder how many of you are scoffing at our suggestion of help with this topic, but once you've read our Ideabook, we know you will see exactly why we wanted to step in and give you some tips! Far more involved than merely picking a rug you like and flinging it onto the floor in any given room, you need to take a number of things into account when accessorising with a rug: from what material you should look out for through to colour schemes and styles. Take a look at our tips for accessorising with a rug and see if you decide on something totally different to what you had originally planned! This might seem super obvious, but certain rooms simply play host to a rug better than others. Prime candidates are the living room and bedroom, as these are spaces that will see a great deal of traffic and may benefit from something warm underfoot. Bathrooms are generally not a great idea, as they can become damp easily, causing rugs to become damaged and unusable. We love this space, from Boscolo that uses a perfectly coordinating rug to tie the entire monochrome theme together and inject a touch of soft luxury. By looking to work with the existing styling, the rug is able to not only standalone as a beautiful piece, but also a significant addition to the wider design ethos. Choosing the right size of rug can be tricky, after all, you don't want to drown a small footprint and make it look smaller, but nor do you want to underestimate and have a rug that looks more like a doormat on a large floor! 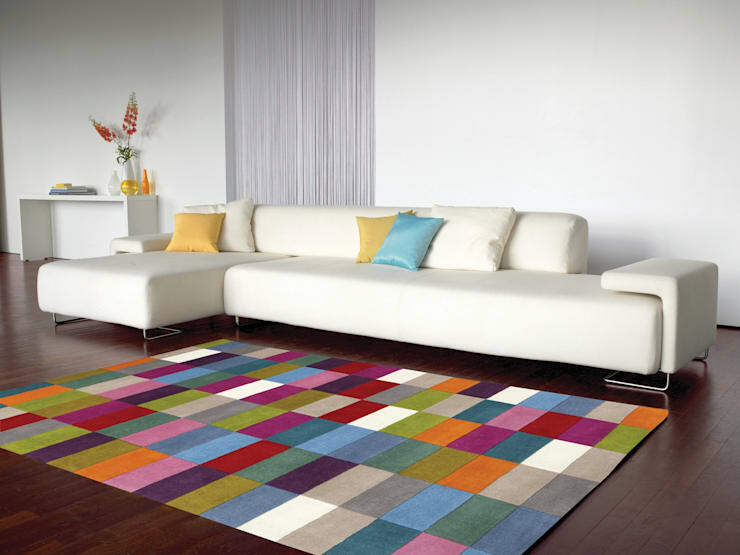 Before selecting a new rug, be sure to lay your furniture out how you plan to have it and measure the available area. 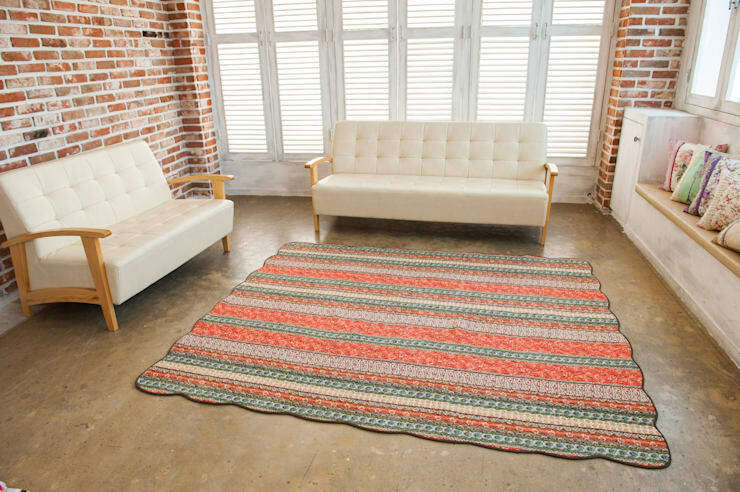 Do you want a rug that sits under the furniture or merely in the free space? These are important questions that will affect what size you select. With your dimensions written down, you can start your search, but don't stray from them, even if you find something you love, as it simply will not look as good as you think if it is not the right proportions! A rug is a great and simple way to inject some colour and fun into a space, but think carefully about how you plan to do so. Will choosing something too vibrant totally overshadow the rest of the room? If so, put it back! Why go to the trouble of decorating a living room that you love, only to accessorise it with something that detracts all attention from your other selections? We aren't saying that you have to be muted, but think about complementary tones and hues and if you want to embrace some vibrancy, do so with colour blocking, as darker shades can be included to balance the mix. 4. What pile do you want? Depending on the other members of your household, you will need to make a decision about whether you want a luxurious deep pile rug or something a little shallower and more practical. 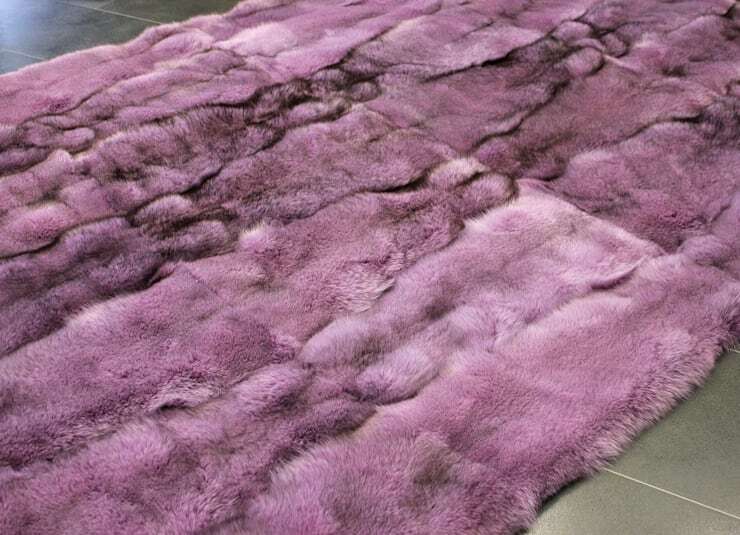 Though we love this purple fur addition, we know that children and pets would soon ruin it, though unintentionally, so it is probably not a great family home choice. Remember; the deeper the pile, the harder to clean, so take the time to really consider your aesthetic wants against your practical needs and see if you can find something that is a perfect compromise. A rug can be a very personal choice and a great indicator as to your style, so don't simply buy a rectangular, one colour example if that isn't what speaks to you! It doesn't matter what everyone is buying, what matters is that you find something that suits you, your home and your style and that makes you happy once it is in place. 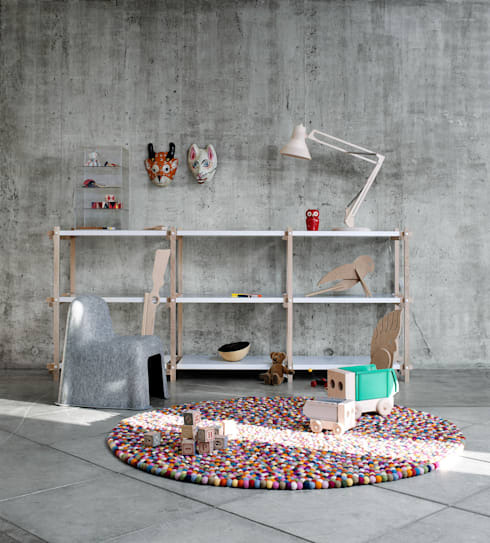 We love this felt ball rug, a very popular choice right now, as it injects fun, colour and high-end style even into your child's room. Thanks to the hardiness of the material, it will be a practical addition that can take rough play and will always look super eclectic and stylish. What material you want your rug to be made from will depend on a number of factors, including any family allergies, moral viewpoints and practicality. For anyone with a wool allergy, a traditional rug will most likely be a no and the same goes for anyone looking to create a vegan home. Thankfully, there are a number of alternative materials available to choose from, including synthetic fibres, recycled plastic and cotton, so be sure that you have a good look at the composition of any rugs before you buy them! 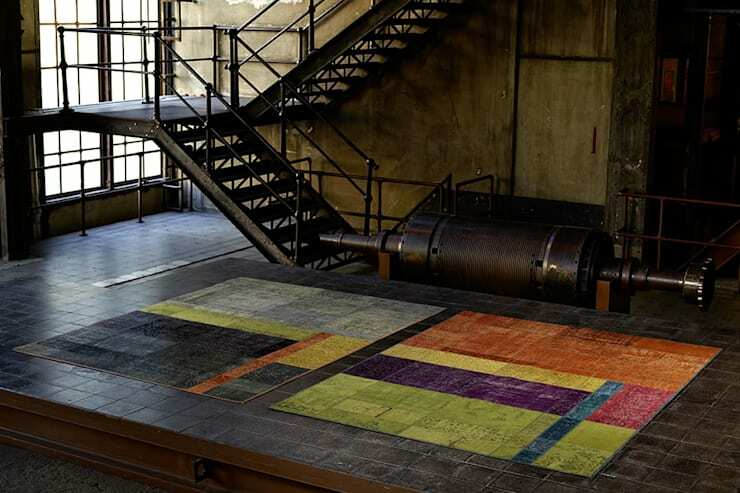 For more floor covering inspiration, take a look at this Ideabook: Shag Pile Carpets: A Treat For The Feet. Are you a fan of rugs in the home? Let us know!